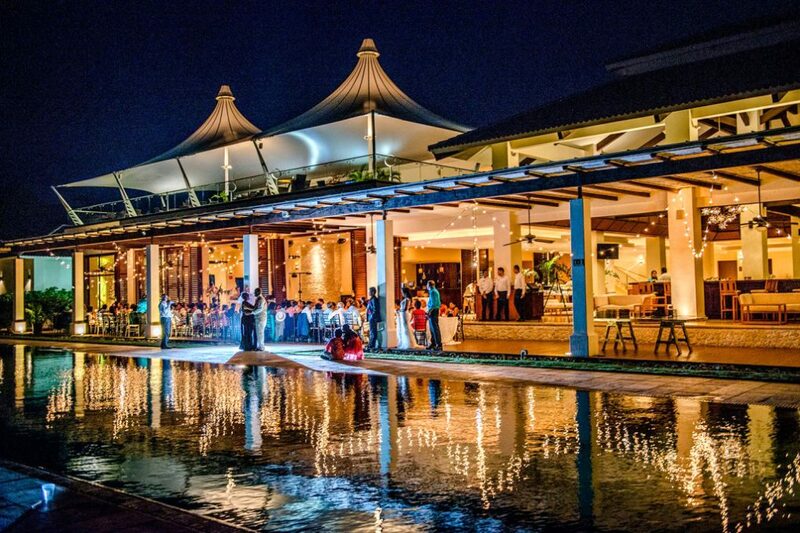 Grace and Joe had their Costa Rica destination wedding at the Le Caméléon Boutique Hotel, which is located just 3 km away from the delightful coastal town of Puerto Viejo, set in Playa Cocles, a beautiful sandy beach. 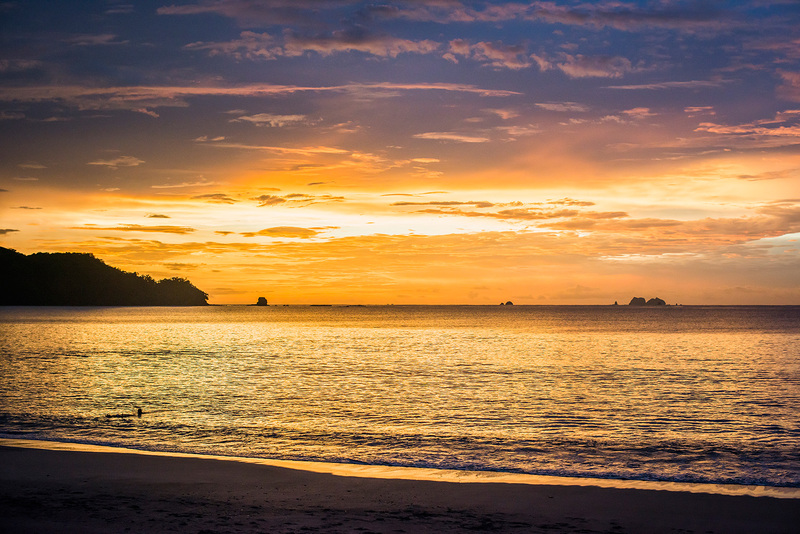 While most travelers tend to visit the Pacific side of Costa Rica for its larger array of lodging options, the South Caribbean of Costa Rica attracts people who search for a laid-back atmosphere and crowd-free beaches. There are no tall buildings erupting past the rainforest canopy; from the shore all you see is a long stretch of sand bordered by evergreen jungle on one side and clear water on the other. 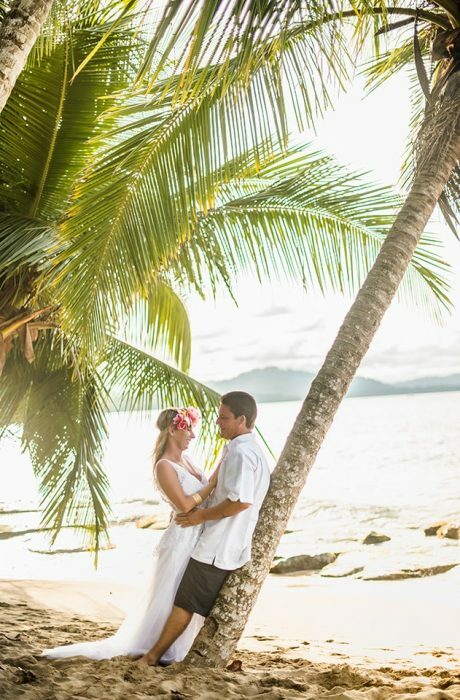 Grace and Joe met through Joe’s roommate who was dating Grace’s best friend and after dating on again, off again for a year, they decided to move to Costa Rica together. This either would be a great idea or a terrible idea, but they ended up falling in love in Costa Rica and it worked out perfectly for Grace and Joe. After spending a year in Costa Rica they moved back to San Diego. 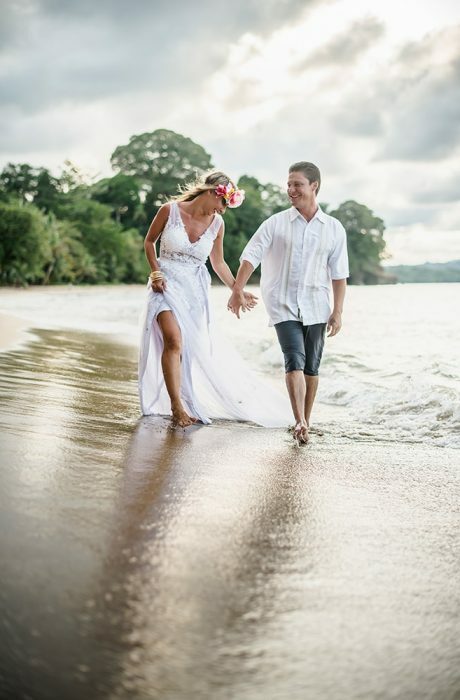 They chose Costa Rica for their destination wedding because they wanted to share this magical place with their family and friends. 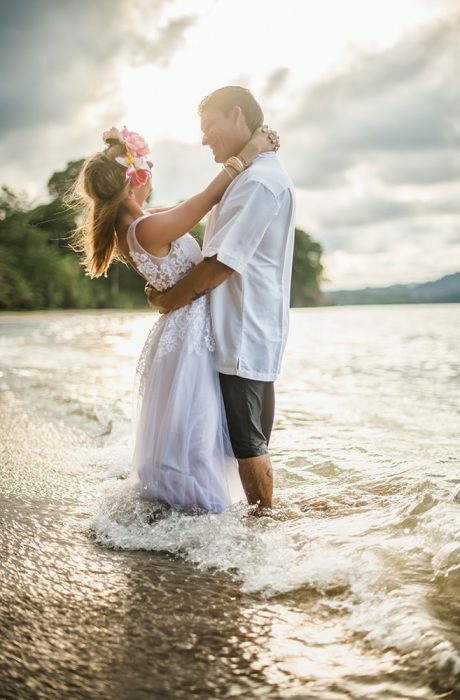 even though Puerto Viejo is a little harder to get to their family and friends accepted their invitation to the Costa Rica jungle to see them tie the knot and wish them the best on their new journey in life.